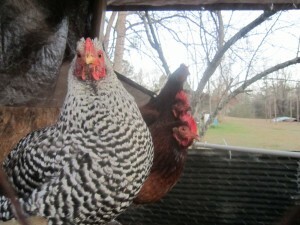 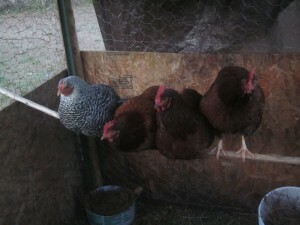 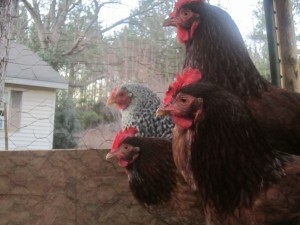 I went to my first chicken auction on Saturday night to find a nice Barred Rock rooster to go with my hens. 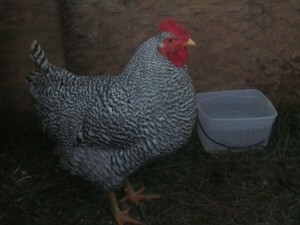 I managed to find an 8-month-old who was friendly. I also got another rooster (not exactly sure what kind), but he didn’t make the photoshoot because he decided to run around in the woods for 6 hours.